This Walnuts and Figs Panforte is one of the delectable creations of Tuscan pastry maker Masoni. And as its name suggests, this one is made with figs and walnuts instead of fruits, nuts, spices, and honey. This sweet bread is one of the most well-known traditional Italian desserts in Italy. It is typical of the city of Siena, in the Tuscany region. Literally meaning “strong bread” to refer to its spicy flavor, its creation dates back all the way to the 1200s. In the past, people prepared and gave it to the local monastery as a tithe or tax every February 7th. In Italy today, many serve it with coffee for breakfast or dessert wine after meals. Make your breakfasts even sweeter with these scrumptious treat. 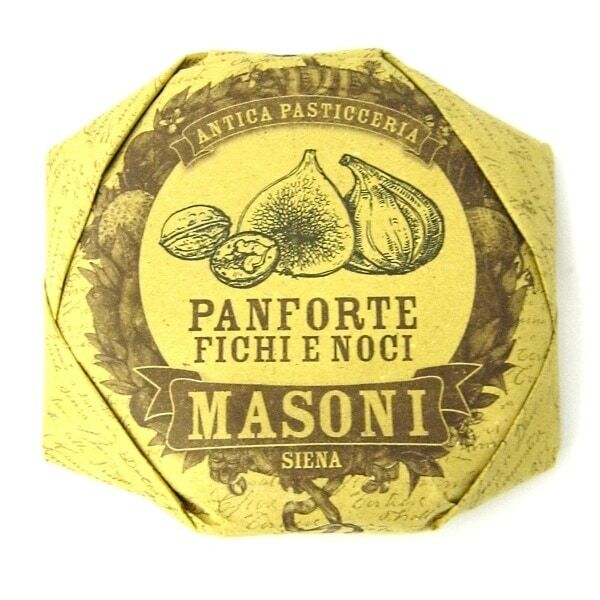 Order a Masoni panforte today!